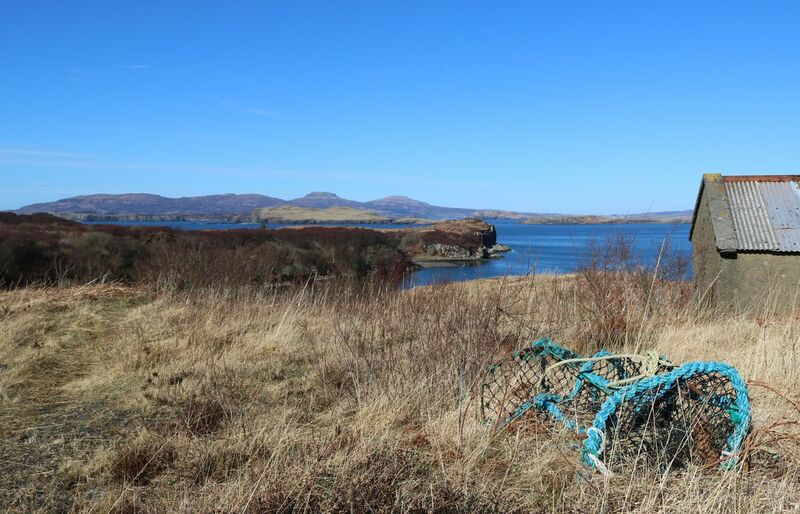 Local walks to the shore. 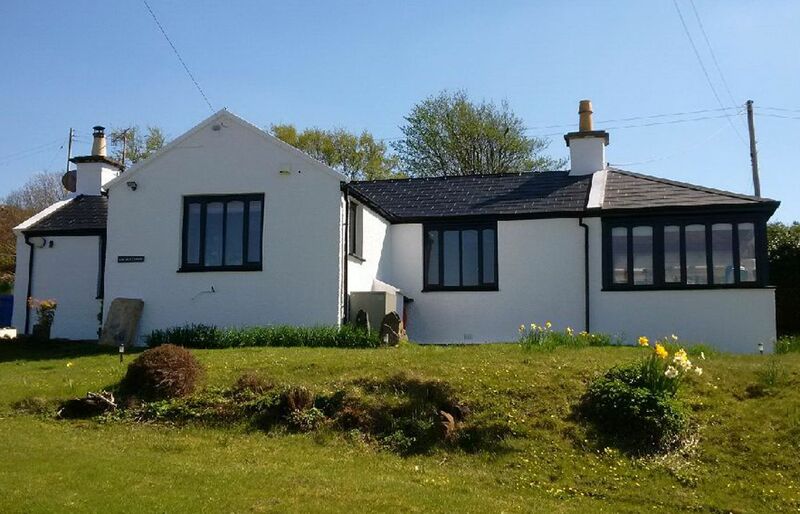 The Croft House, Fiskavaig is a spacious holiday home located centrally on the Isle of Skye - perfect for holidays with family and friends. 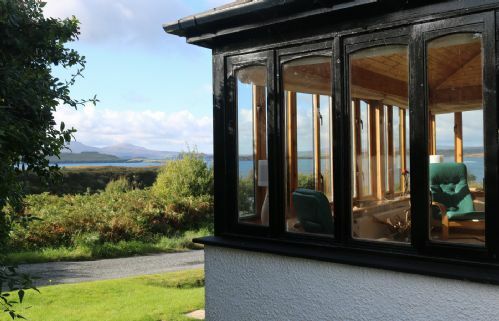 With easy access to the beach and bay below, a drying room and a secure store for keeping kayaks and canoes this is ideal for those looking for a more adventurous holiday as well as those looking to just enjoy the views and relax. Access to the Cuillin Ridge is a 15 min drive away, ideal for those looking to do some climbing and walking on the Isle of Skye. The front door of the holiday home opens into a light and bright kitchen. 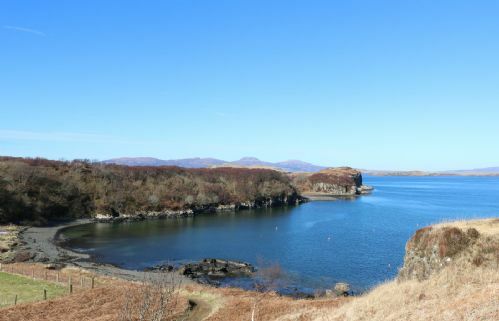 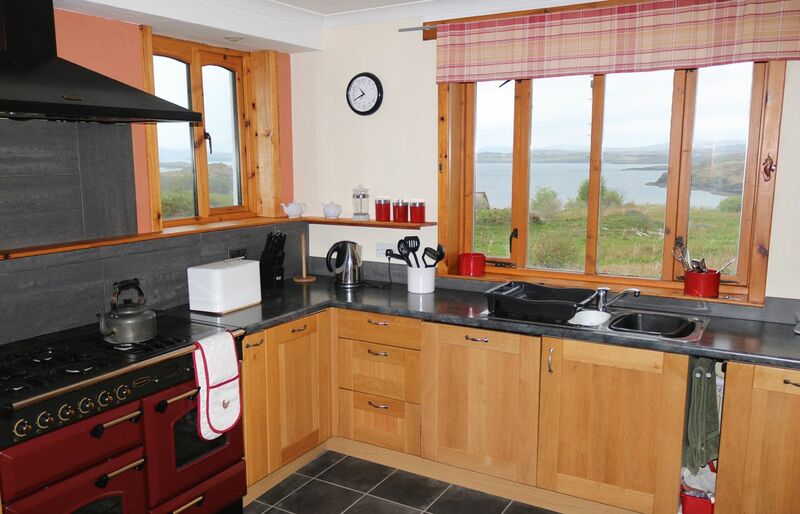 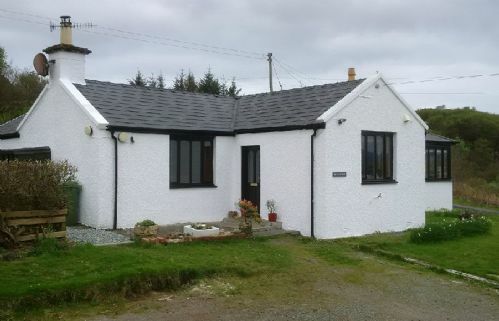 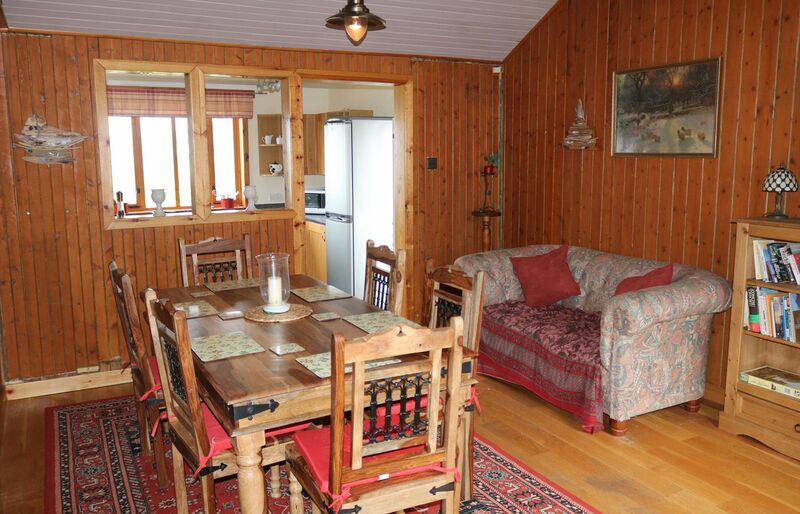 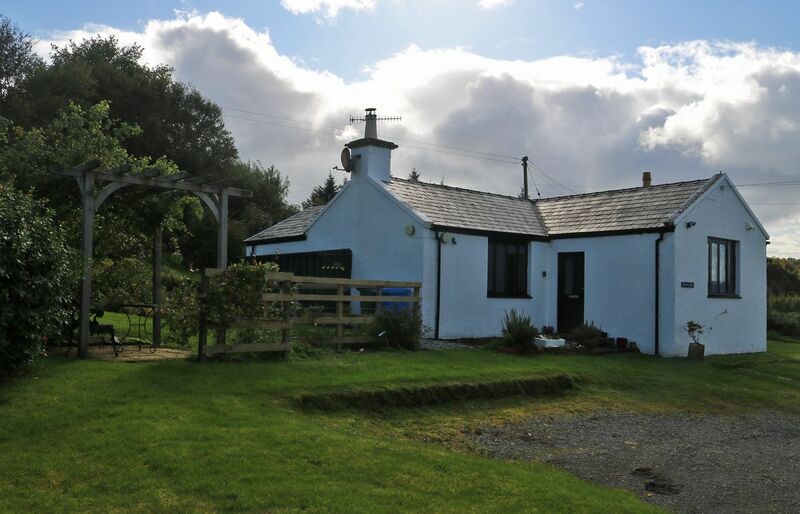 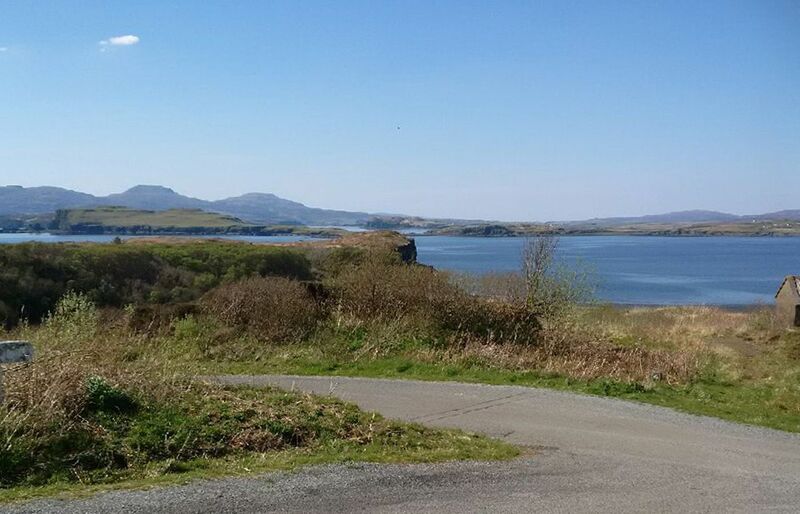 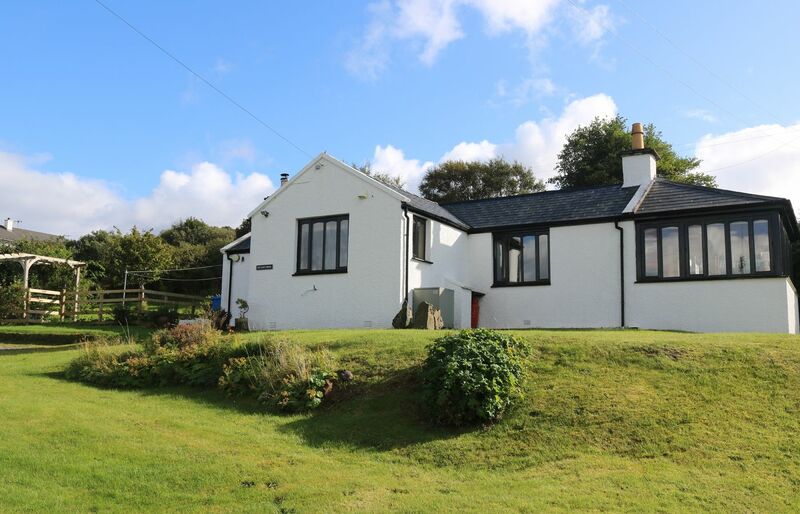 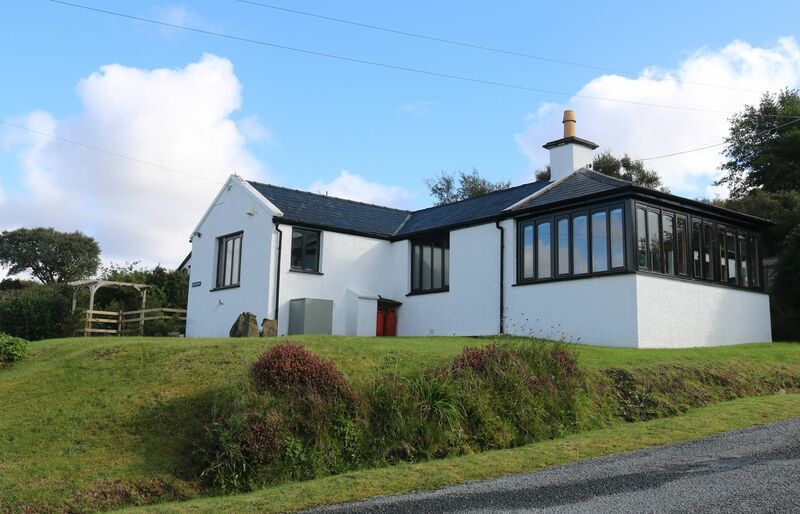 It is fully equipped with a large range cooker, dishwasher, fridge freezer and microwave and it enjoys views across the water to Struan and Ullinish with MacLeods Tables in the distance. 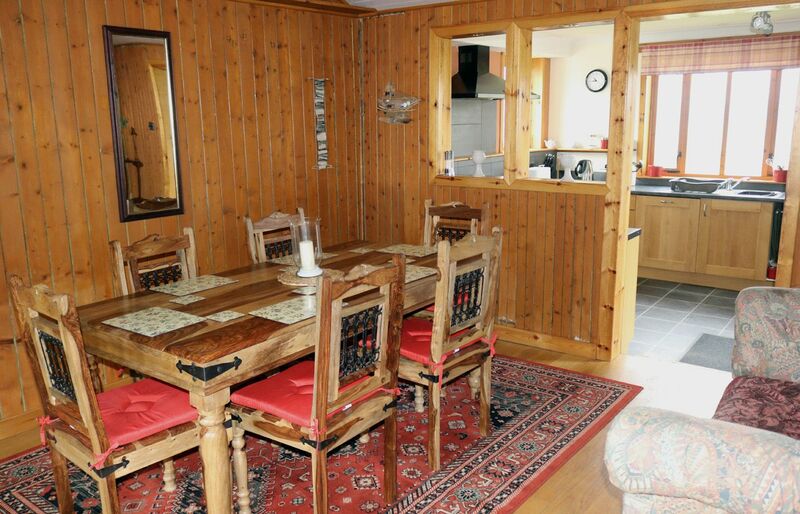 The kitchen is open through to a spacious dining room which has a large dining table and seating for up to 6 people. 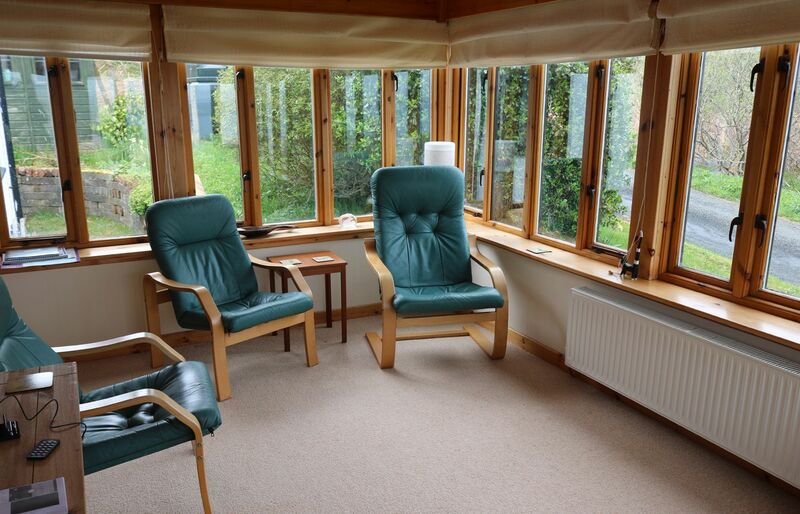 The couch makes it a great social area as well as a place to enjoy a meal together. Leading on from this dining room is the cosy living room. 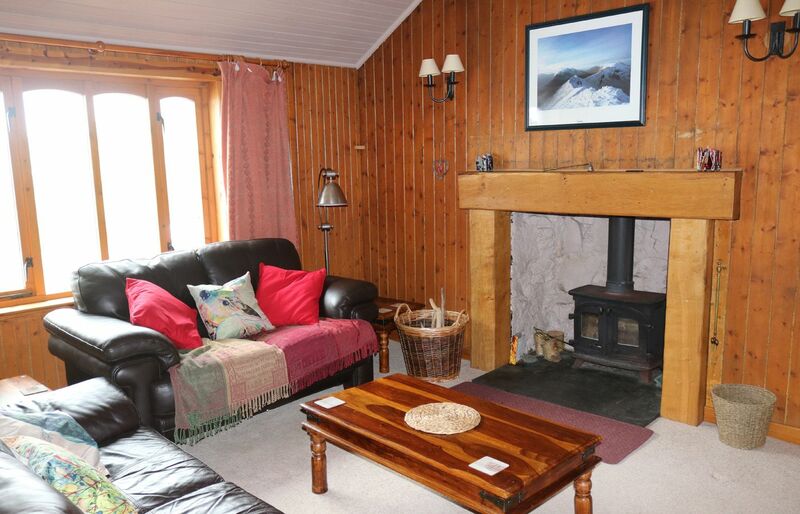 There is a TV with Freesat and a DVD player, comfy couches and a wood burning stove making this the perfect place for cooler days and evenings. 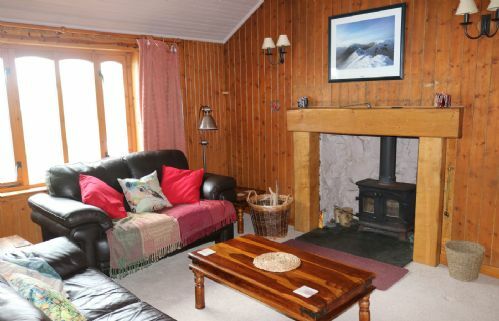 A welcome basket of logs and kindling is provided. 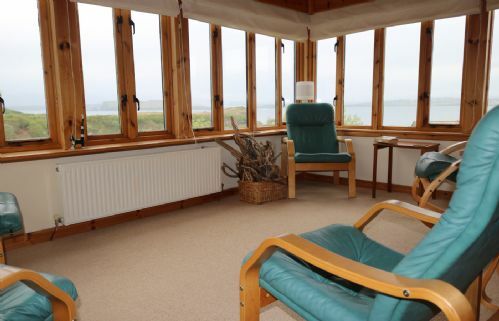 At the far end of the holiday cottage there is a large sunroom with panoramic views over the sea. 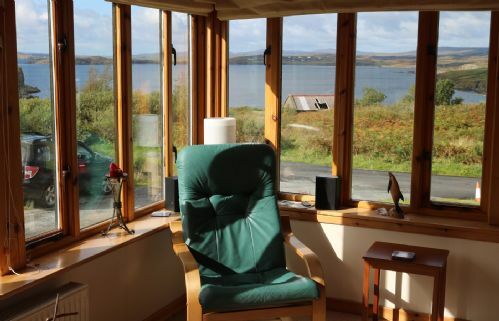 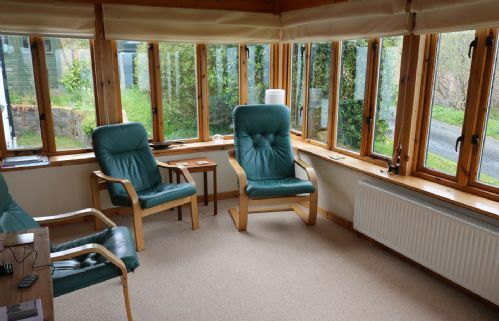 This lovely, bright and airy room is great for relaxing, reading in or listening to music using the docking station provided whilst enjoying the views. Wi-fi access is available to guests of The Croft House. There is a large double bedroom and a spacious twin room. 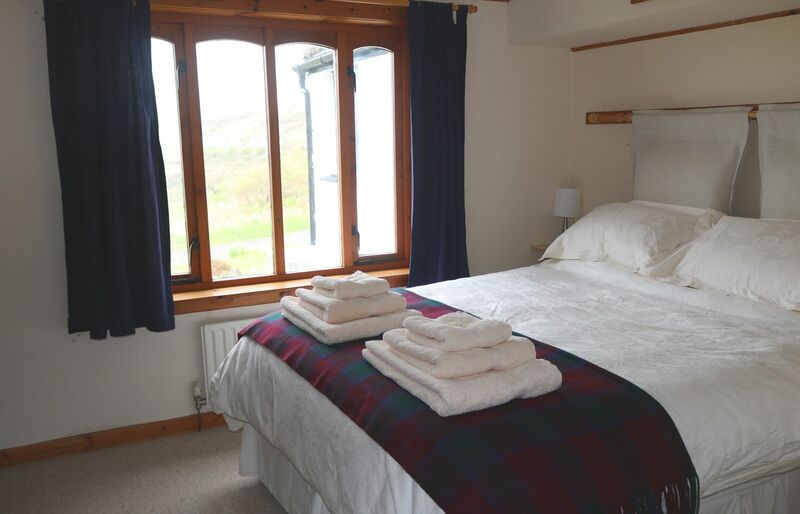 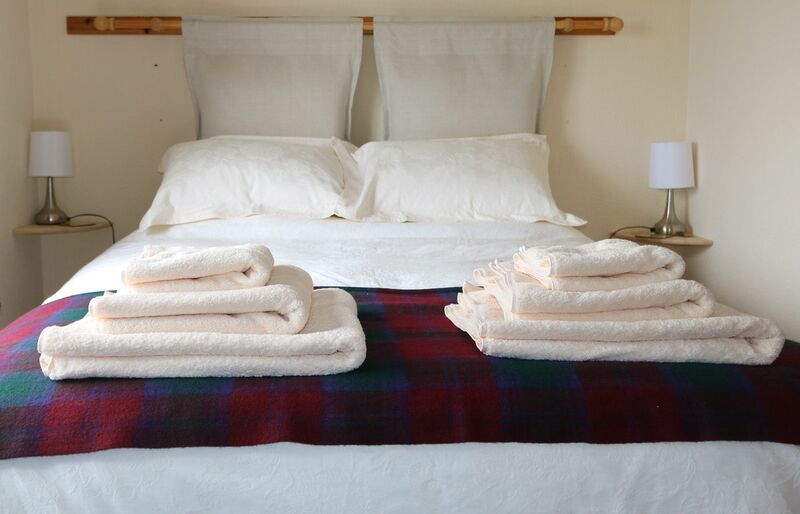 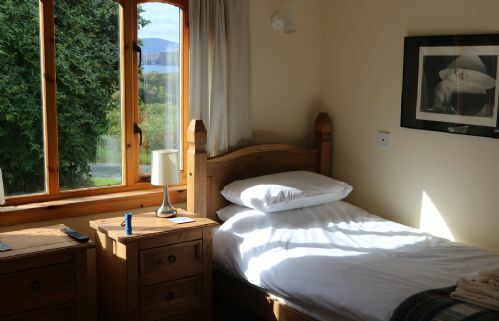 Both bedrooms are decorated to a high standard and have ensuite shower rooms. As well as the ensuite bathrooms there is another family bathroom with a bath, shower and W.C., and a further W.C. is located off the main hallway. 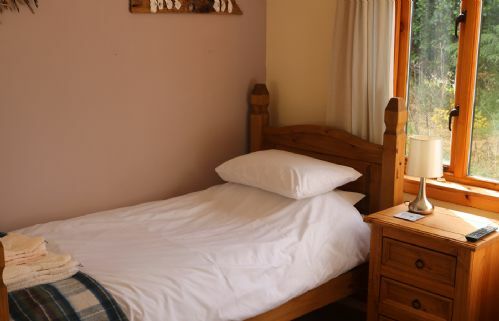 There is a TV in both bedrooms and guests are welcome to use the hairdryer provided. 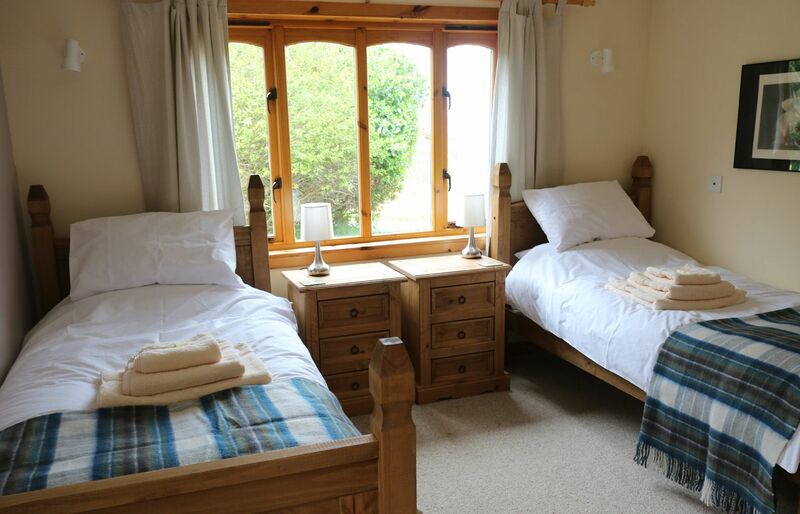 There is a cot, high chair and baby bath available for guests to use. 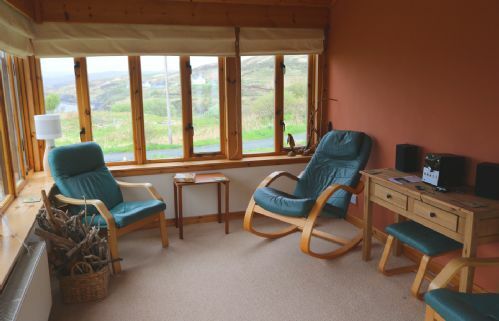 The utility room to the back of the holiday home has a washing machine and tumble dryer and provides plenty of space for any storage of suitcases and there is a dart board in the laundry room for rainy days. The lawn to the side of the cottage is ideal for sitting and enjoying the views. 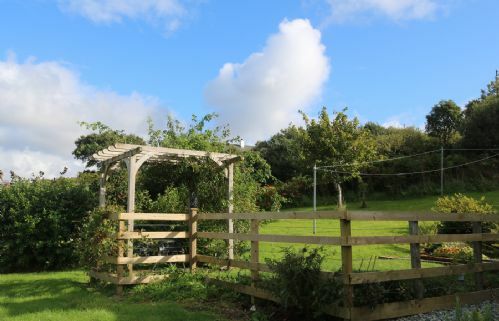 There is a BBQ / pizza oven / fire pit for guests to use along with a picnic table and garden chairs. 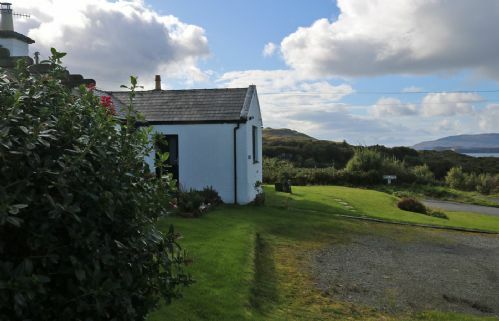 To the rear of the holiday home, in the back garden there are two outbuildings; one has been fitted out as a drying room for wet clothes and wetsuits whilst the other is a secure storage shed for bicycles, canoes and kayaks. 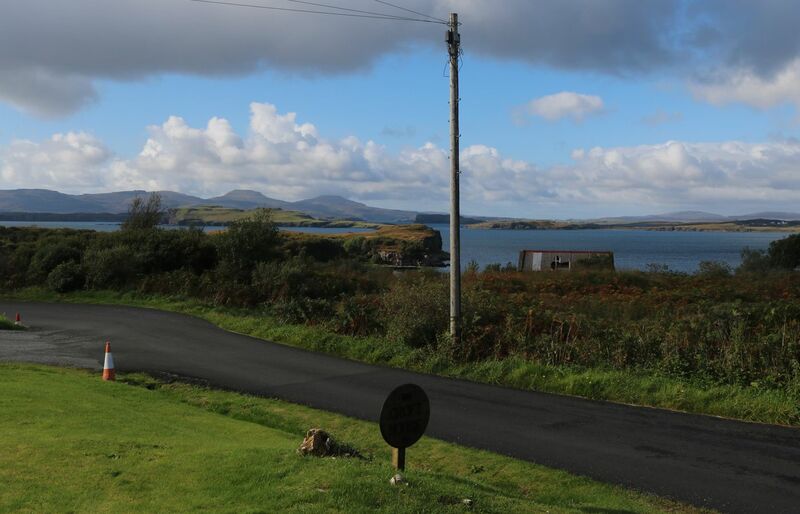 There is ample off road parking at the front of the house.